Lots of people are getting injured throwing kettlebells, barbells and dumbbells around, and they want the world to know about it, they want to warn you about them. I’m just kidding… working on my sensational titles to get your attention. But … there really was a time where it looked like everyone was getting hurt working out with kettlebells, there was (or still is) a time where it looked like everyone was getting hurt doing CrossFit. I bet there was even a time where it looked like everyone got hurt from dumbbells, and I bet you anything, that any new exercise tool on the block will go through this phase. It’s just natural, when something is new there aren’t many professionals to show you how it’s really done, when it’s new, people just start throwing things around like they’re in a Jane Fonda workout. You don’t just throw things around unless you’re a professional and know how to thrown it around without getting hurt. My article today was prompted by a facebook post in which I put a photo of a workout up we just completed. The workout was attended by an amazing gentlemen who is in his 70’s, and this promoted someone to publicly caution and talk about the injury they sustained while throwing kettlebells around. “I counsel caution. My supraspinatus tendon has an 11.5mm tear as a result of throwing kettlebells around. Even with a cortisone injection in my shoulder to relieve inflammation around the subacromial bursal thickening that also resulted, I had constant neck and shoulder discomfort for a year. Many things going on here, I believe the person in question is obviously genuinely concerned for the mans safety and that part is great, but let’s talk about some of the other aspects involved with making a public statement like that. Once again, I don’t believe there was anything other than good intention from the person who posted, I’m simply covering some of the potential ramifications of making public statements opposed to private messages. These are the things I picked up on and how it came across. Throwing kettlebells sounds like the tool was not given the respect it deserved from a beginner. 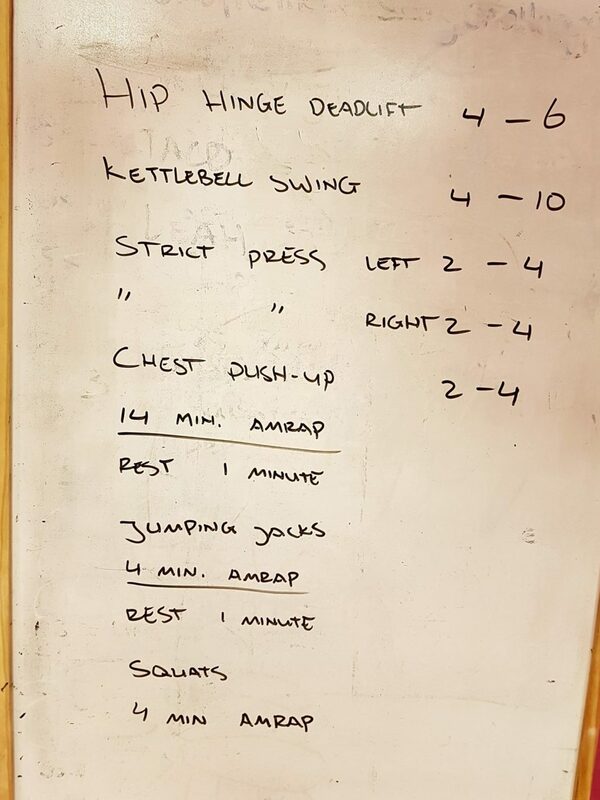 Surely they did swings, a 4kg kettlebell you only use for someone who might weigh 20 to 30kg, if you give this to someone bigger (whether female or male) they will be starting to do shoulder raises as there simply is no resistance provided by this weight —and swings are NOT shoulder raises. 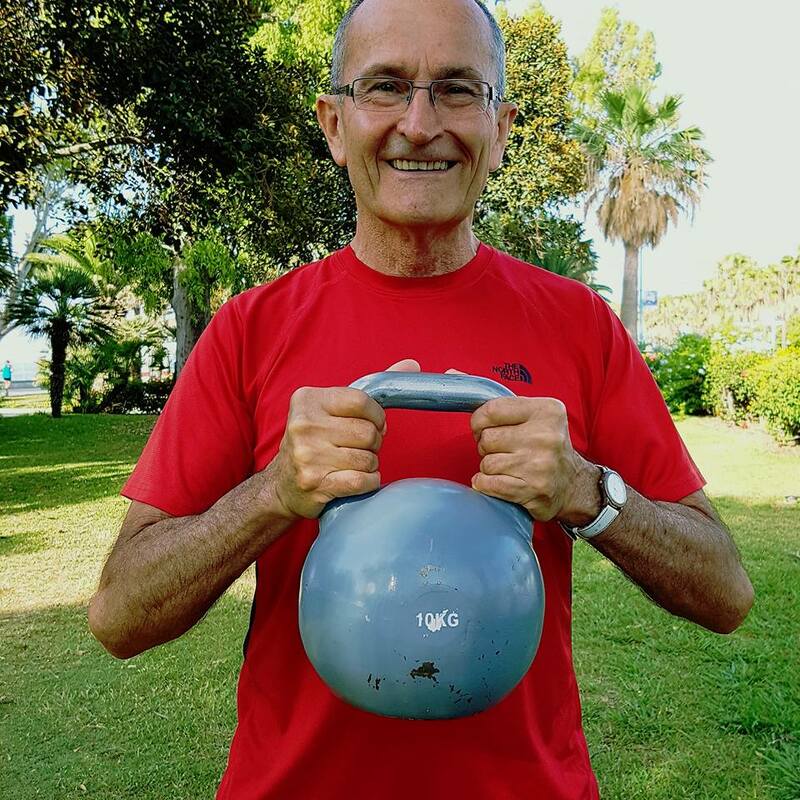 The last statement tells me that kettlebells and perhaps exercising was something new to the participant and therefore throwing kettlebells around for an hour is not something you do with the unconditioned. There are two main reasons someone gets injured, the first is that the trainer is a cowboy and has no idea what they’re doing or it’s the opposite and the participant does not listen to the qualified trainer. Let me run you through how I personally handle these situations. First thing I do is ask about injuries, second, I ask what physical state the person is in, based on that I make recommendations and explain that I can not feel what they feel, so they need to communicate and stop if anything feels out of place. Once the session starts I will provide a good full body warm-up with usually no resistance other than bodyweight, this is then followed by demo’s, talking, covering technique and then slowly building the participants up step by step, all while keeping a close eye out on any irregularities that could cause injury. The training part is the most important as this is where I assess the participants, provide corrections and recommendations. Finally it’s time to workout, this is where I either join in and provide constant visual reference for the participants to see and mimic. Whether I work out or walk around depends on the size and group dynamics. At some stage you have to let the participant be, you can’t keep reminding them and providing corrections during the group session, at some stage you need to trust the participant to make their own decision and remember what you taught them, of course there is a limit of what you allow, if you see someone deadlifting with a rounded back like the Hunchback of Notre Dame you call a stop to it. You can see how I structure my workouts in detail here. In all the years of training I’ve done, I’ve not seen one injury caused by a kettlebell, not one, and I’m confident in saying that if it should ever happen —knock on wood—, it will be where someone did not listen to “safety first, rest when you need to, don’t think about the person next to you, only do what you can safely do, call me when you need me” or did not pay attention to the many cues and safety details I provided. Let’s have a look at the workout in question. Meet Mike, 72 years young, beats everyone in the class half his age. Be like Mike! No Excuses. Because the group was new to me I cautioned everyone that although this is AMRAP —As Many Rounds as Possible— everyone should rest appropriately and focus on technique. I also programmed in different reps to chose from, with even the higher option still being in the low rep range. This allows the participant to make their own choice based on how confident they feel with the technique, furthermore I also had different weights available to drop with weight. Note that the workout was preceded by 20 to 25 minutes of instructions. I programmed the hip hinge deadlift before the swing as this is a natural progression for the movement. I hope that some of these things will give you some ideas on how to run or structure your sessions for beginners and how to prevent injury. Your comments below or on this facebook post.